Distinguished users of Planova™ and Planova™ BioEX filters will share their experiences and expertise in upstream and downstream process development. It will be an excellent opportunity to gain insights and to learn advanced techniques that can be applied to your processes. Now, you can find the forth(4th) Announcement from the below link. You can find name of presenters and titles of each presentation. 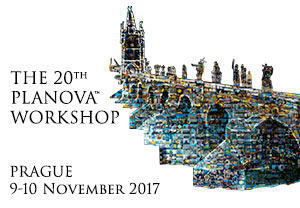 Please contact us for registration for the 20th Planova™ Workshop via this website. We would be honored if you could attend this workshop and be our guest in Prague.